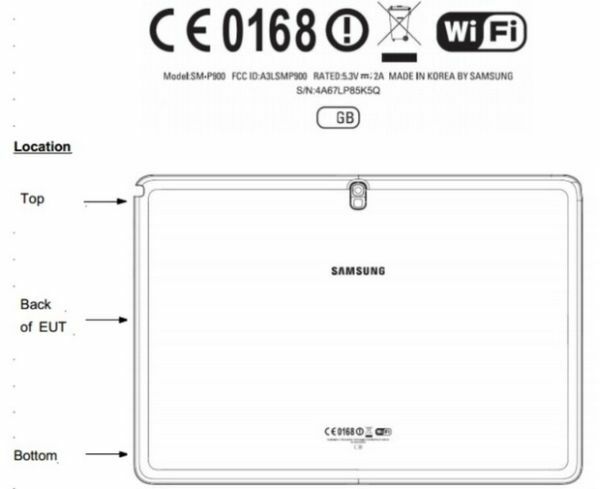 The Galaxy Note 12.2 (model number SM-P900) from Samsung popped up in the Bluetooth certification process recently, pretty much confirming we should see this massive device hit the market sometime in early 2014 according to sources. The 12.2″ display will feature a resolution of 2560 x 1600, which matches that of the Galaxy Note 10.1 – 2014 Edition. As for the other specs, we should be looking at a tablet that features a Snapdragon 800 processor, 3GB of RAM, Android 4.3 (or Android 4.4 depending on timing with Samsung’s TouchWiz optimizations), and of course, an S Pen. It will clearly be large and in charge in terms of specifications. Here in America, we haven’t had many tablets over 10.1″ see much success, but who knows, maybe Samsung can change that. Google Posts Up New Nexus 7 TV Spots, "Center Stage" and "In Play"